Moving towards a greener economy takes time, and more importantly, will. Businesses and citizens have a duty to become more environmentally friendly but they need an extra hand from other resources, as legislation helps the process of being more aware ( and willing to make an effort!) of the environment. Sadly, states and their governments do little about this and are actually showing more concern about strategic control and politics than giving a hand to a bleeding planet. Sometimes tough help comes from sectors we would never expect it from, such as technology. New tech development could help getting rid of fossil fuels, which are the main greenhouse gas emitter. Also, and without compromising current living standards, new tech could push economic ways where the environment would be an integral part of making business. In fact, we have relied so far on new processes that technology is a key part in the recently signed Paris Agreement. One of those technologies set to disrupt current economic manners is the blockchain. The distributed ledger technology is capable of change the game rules and breakthrough the system which has taken the world to its very edge. Cryptocurrencies and smart-contracts are only a few examples were blockchain can be applied. In fact, blockchain is said by experts to be disruptive not only due to its ability to create money out of algorithms, but for its Big Data potential. “With blockchains, supply-chain information from different economic sectors can be pooled into a global, trusted dataset that is fully interoperable. This level of specificity (and transparency) will make it possible to quantify specific environmental benefits – whether that’s clean jet fuels, green proteins or renewable power – and turn them into market commodities,” said The Wired expert Bernice Lee in a recently article. Big corporates are already using blockchains to optimise their complex supply chains. The same technology can also track and manage environmental performances and embed the information – whether carbon avoided or waters saved – in financial and other transactions. On the other end of the supply chain, this will give consumers greater confidence in buying green. Blockchain main perks are about decentralization and transparency, which would make data-distortion extremely hard. On the same level of security are cryptocurrencies using blockchain. Powered by this distributed ledger, cryptocurrencies acquire the same qualities. The most know blockchain cryptocurrency Bitcoin, ha been criticised by its high needs of electrical power. But new solutions are set to appear in the sector. Bernice Lee predicts that in 2018 we will see the emergence of new green cryptocurrencies built on the back of blockchain-enabled global datasets of environment-related life-cycle data. Armed with precise data, energy companies could be the first movers in 2018. 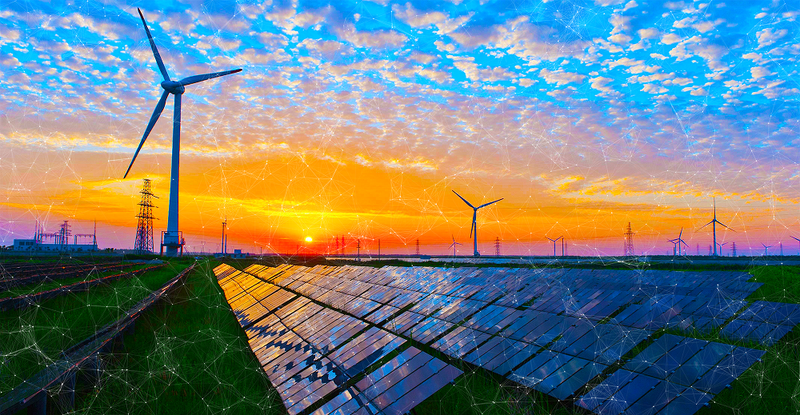 Pilots abound for peer-to-peer energy transactions and trading platforms – especially where “prosumers” enter the market with rooftop solar power. The entry of these big players will change the markets, though it remains unclear who will win long-term. And despite the power impact in cryptocurrency mining, these green cryptocurrencies will also provide a novel way of tackling the so-called “rebound effect”: when environmental benefits get cancelled out by other improper behaviour. It happens when, having cut our electricity bills through efficiency, we turn up the air conditioning or, more indirectly, when by sparing cash from less food waste at home , we spend the extra cash into an extra holiday or more taxis. 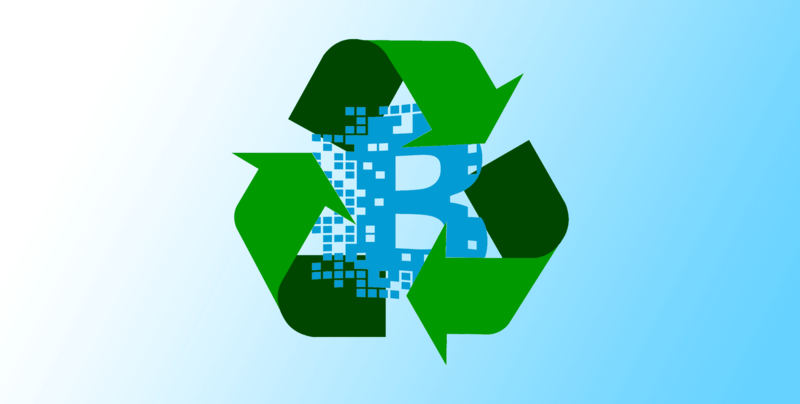 “Rebound effects could be countered by offering consumers units of green cryptocurrencies as reward for efficiency savings, for example, which could be redeemed as payments for green electricity or other blockchain-verified environmental services – be it organic detergent, charging for electric vehicles or household insulation. Airlines could offer these same cryptocurrencies in place of more traditional offsets,” she added. It seems clear that blockchain is part of the solution rather than a main issue. In fact, after all the hype cryptocurrencies and the distributed ledger gained last year, what is important is to put blockchain projects into practice for the greater good, which it is definitely something to fight for.